This month, New Jersey’s state appellate court made a significant ruling pertaining to past convictions being used as evidence in on-going trials. 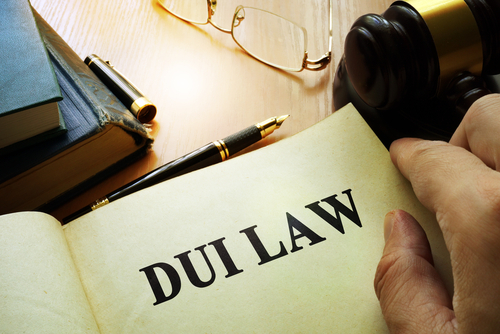 The appellate court was reviewing a lower court’s decision to refuse to admit evidence of prior DWI convictions for an individual facing reckless driving and manslaughter charges. The case centered around a driver who had struck a pedestrian while operating a motor vehicle. The pedestrian had been lying in the intersection at the time of the incident, but police responders also found the driver’s blood-alcohol level was at an alarming .210 percent. The prosecutors, in this case, attempted to admit into evidence two prior DWI convictions of the driver to convince the jury of the individual’s pattern of reckless driving. State evidence rules, however, exclude the admittance of evidence to prove the likelihood of poor behavior by the defendant. Such evidence can only be used to prove things like intent, knowledge, planning, motive or absence of a mistake. The appellate court of New Jersey ultimately decided that the lower court judge used proper discretion. They reinforced that past DWI convictions can’t be used as evidence to prove recklessness in a different accident. The court additionally noted that admitting previous convictions could distract the jury from independently considering relevant evidence of guilt in the current case. The attorneys at Rudnick, Addonizio, Pappa, and Casazza have been representing clients injured in drunk driving accidents for over 40 years. We are dedicated to holding reckless and drunk drivers accountable for their actions. We know what it takes to prove reckless behavior in DWI cases, and we are motivated to ensure you are fully compensated for any injuries or suffering you’ve endured as a result of the crash. Reach out to our legal team as soon as possible to begin working on your case. Our offices can be reached at 732-264-4400 or via our online contact form.